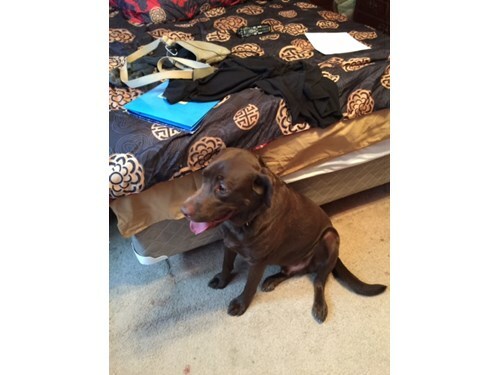 Coco is a 3 year old chocolate Lab. He weighs 76lbs and is wearing a blue collar. He is very friendly and will come to his name. He does have a food allergy and needs his food. If you see him please call 866-699-3463!